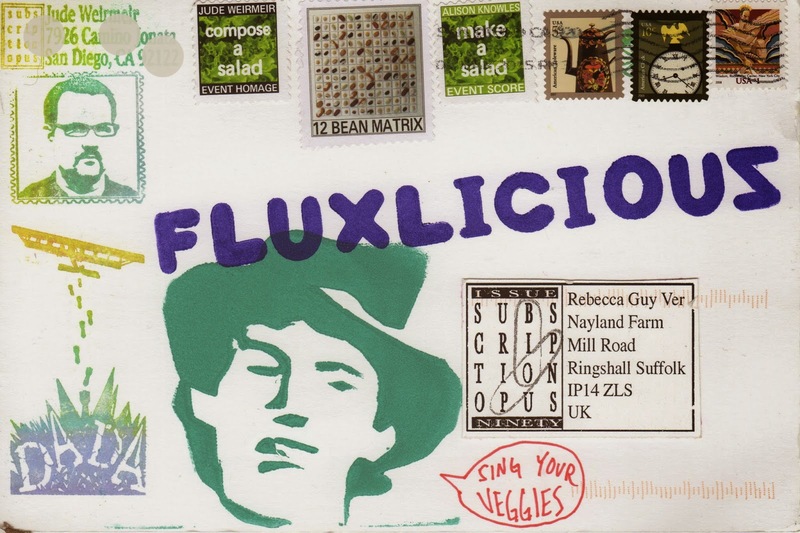 The Postal Ledger: Lettuce sing fluxliciously, with Jude Weirmeir! For sure the world would be a better place if we all sang our vegetables! Jude, you can't imagine how similar or minds must be…. Once I got a bunch of scientists at the Royal Academy to sing some potted bulbs and daffodils! 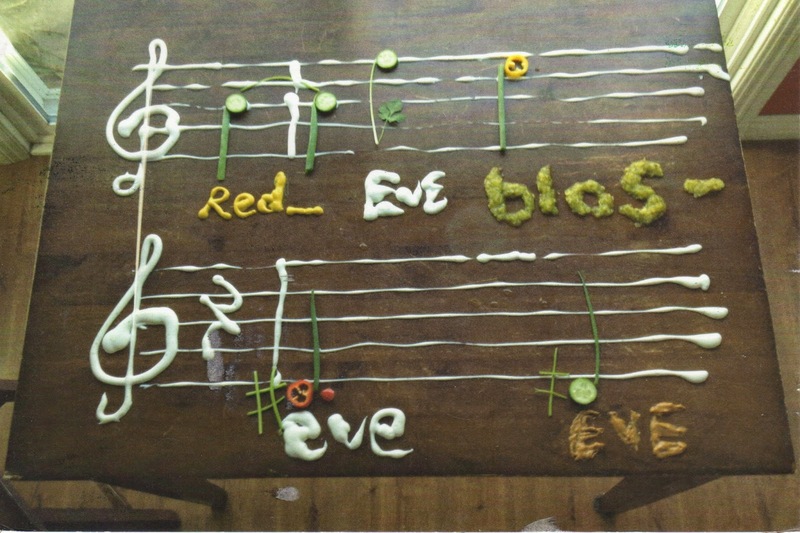 But the bean notation and fused veggie notes, pure genius. Many thanks, Jude, love your subscription opus! And the rest of you look carefully at the artistamps and the expertly printed rubber stamps! Oh and is everyone biopop?